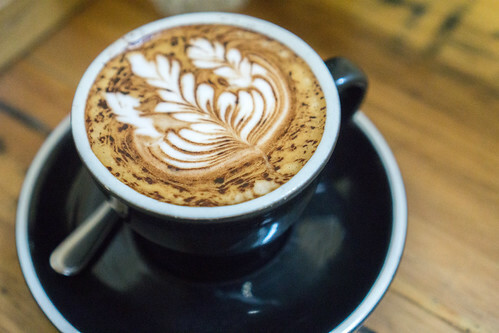 Manchester Press is one of the popular coffee and bagel eateries in Melbourne. 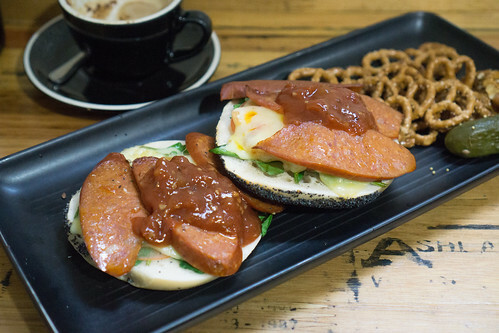 Tucked away in one of Melbourne’s laneways, it has an extensive variety of bagel dishes. Their open bagels, an adaption of the typical open faced sandwiches, is also an interesting option for diners. While there are also several options for those not feeling like a bagel like salads and breakfast bowls. However, being an eatery known for its bagels you have to try it at least once. 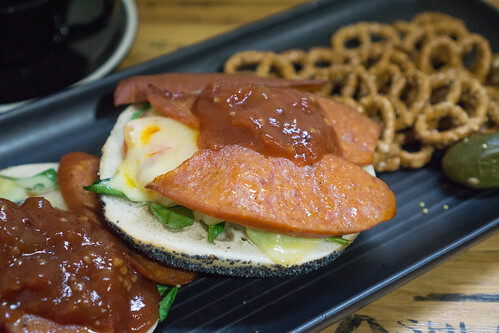 The Grilled Chorizo open bagel is served with melted cheese, tomato salsa and a side of pretzels and pickles. I loved the combination of the grilled chorizo with the fresh and tangy salsa, melted cheese and a bit dense bagel. The pretzels are a bit ??? but it adds to the kinda American charm and especially so with the pickle. Manchester Press does bagels and it does them well.